Parkdale homes are part of an affluent and prestigious community with numerous recreational facilities nearby. As a result, property in Parkdale is a popular choice for successful professionals, their families, and retirees. Both new constructions and older homes can be found in the Parkdale community, allowing homeowners to choose the style and age that best suits their needs. You can find out more about living in Parkdale homes below the following Parkdale property listings! The southern border of Parkdale runs along the Bow River, giving homeowners phenomenal views of the river and fantastic access to the Bow River Pathway. Parkdale Park, Saint Andrews Park, and other environmental spaces within the Parkdale community allow homeowners to relax in tranquil nature areas. Just north of the community, the Foothills Athletic Park hosts a myriad of sports and entertainment options. Parkdale is home to the Foothills Medical Centre, the largest hospital in Alberta. Numerous services and specialized medical fields are performed at this location, making Parkdale a convenient community for individuals with increased medical needs. 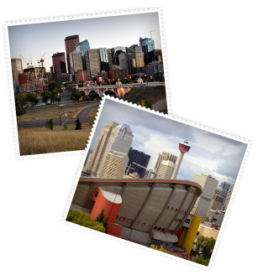 The Calgary Real Estate Advantage team has experience with connecting interested buyers to their dream homes! Explore gorgeous Parkdale homes with our team by calling 403-968-1496 or sending us a message online!